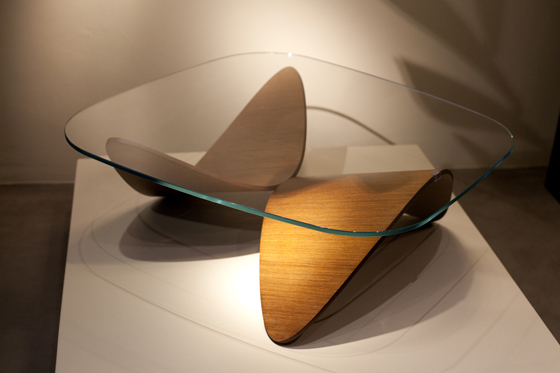 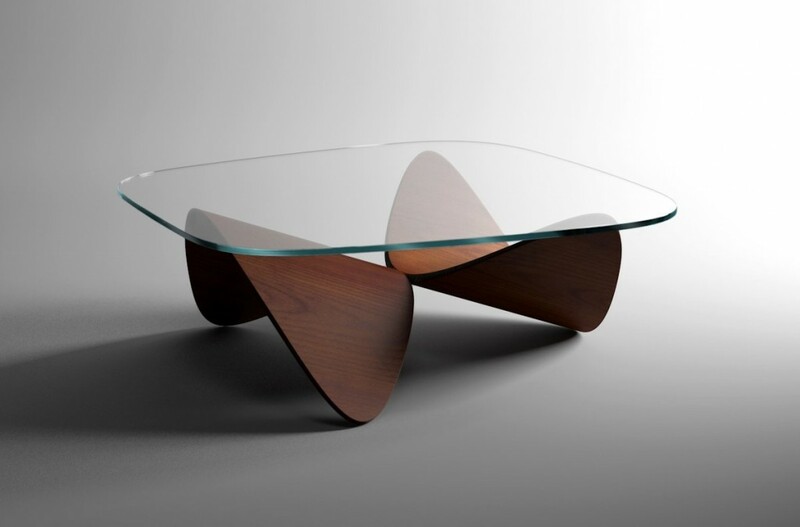 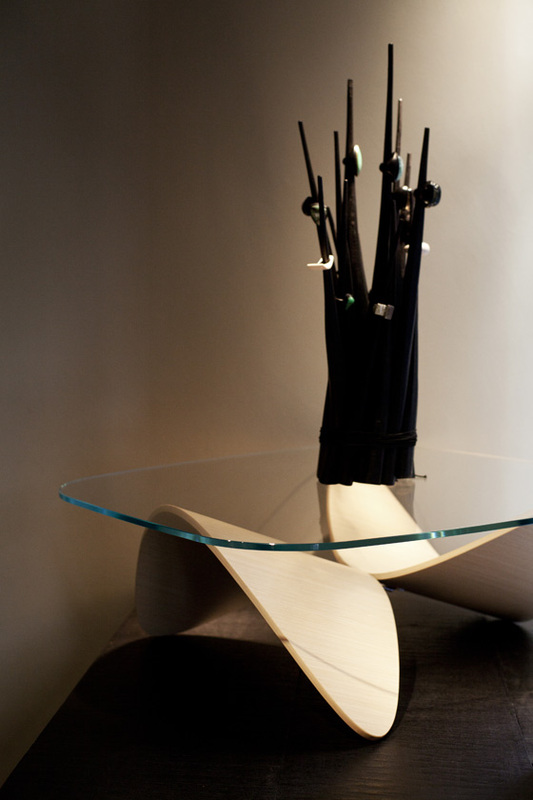 This sculptural glass and wood coffee table has been designed by the London based designer Sandro Lopez. 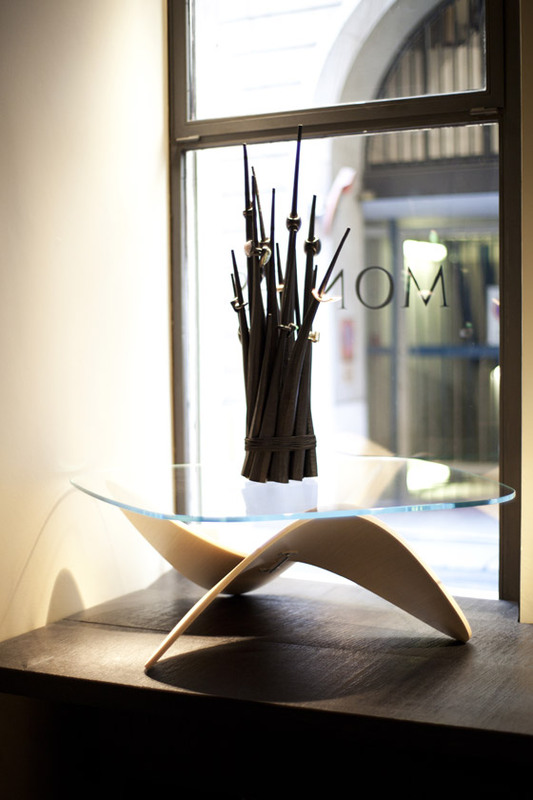 Made from beech or oak veneer with a 12 mm glass top, the table is made from certified wood and crafted entirely in Italy. 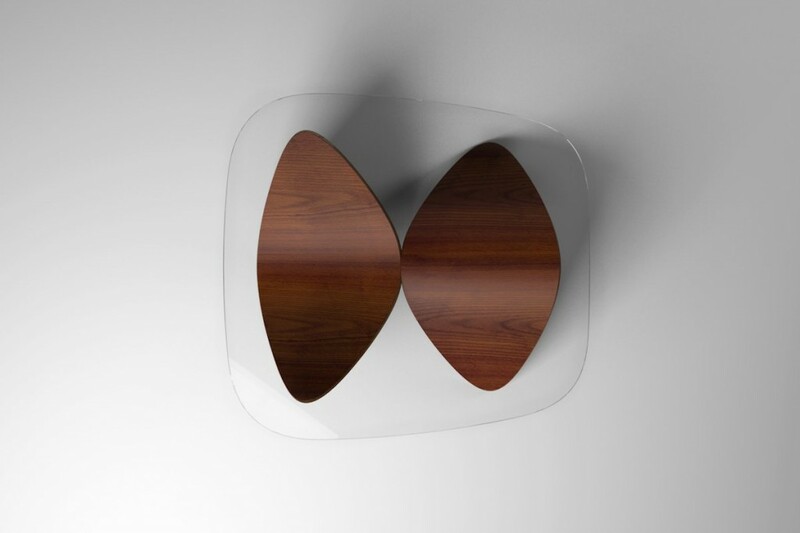 The piece is available in cream, dark brown and natural wood finishing’s.